Factory sealed never opened still in sleeve. Trending at $119.88eBay determines this price through a machine learned model of the product's sale prices within the last 90 days. No iCloud lock. This device includes our 90. 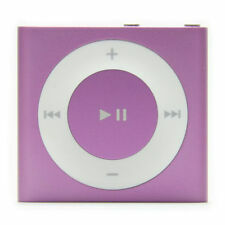 Apple NANO 8gb Generation 4 pocket IPod music/video player. Includes the Nano box, the Start Up instructions. Settings was reset as manufactured (all old files were cleared). 4th Generation. Nike iPod support. Holds up to 80 hours of video. Arsenic-free display glass. Built-in Bluetooth 2.1 EDR. Built-in speaker and microphone. 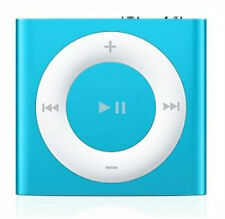 Up for sale is a used Apple iPod Nano 8GB 4th Generation model A1285. 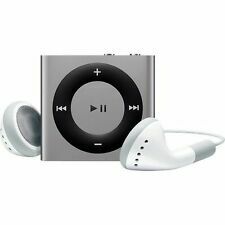 Apple MB735LL/A 8GB iPod Nano 4th Generation - Silver. Condition is Used. These are in mint condition. They have been refurbished by a manufacturer vendor and are guaranteed to meet manufacturer specifications and is in excellent condition. Our iPods have only Apple authentic parts, no 3rd party, cheap, unauthentic parts installed. These iPods are fully refurbished, quality checked, and are backed by our 90 day guarantee. eBay does not off the selection of a 90-day return policy, so if they item were to malfunction, please contact us, and we will set up the return including free return shipping. These do not have the charger or earbuds. It is for the iPod only. ---16 GB Storage Capacity (Estimated Free Space 12. 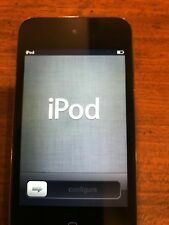 Apple iPod Touch 4th Generation 8GB Black. Storage: 8GB. iPod is ready to use. A deal you just can't miss. If you have any problems we will replace it. ITEM DETAILS. Shows normal signs of use including scratching on the housing, dings on the corners as well as scratches on the screen that might be visible when the phone is turned on. Up for sale is an Apple iPod classic 20GB 4th Generation U2 Special Edition Black Red. Final Sale. actual item pictured you will get only what you see in the pictures. 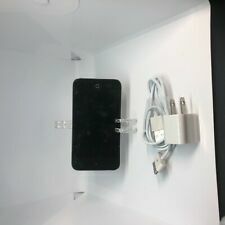 Ipod Touch 4th Gen 8GB Black ( 1 of 70 available). Excellent for you car, on the train, at the gym or to dock at your work desk. Small, easy to use, has Bluetooth, the software is quick and responsive.